*This post originally appeared on my previous blog. Due to its nice “snapshot in time” content (from shortly after the release of A Warm Place to Call Home), and its explanation of the origin of Frederick, I wanted to update it and bring it on over to the new blog, where it belongs. Last year [around Apr, 2012], when I was “between books”, having completed The Opal, but not yet ready to work on Matt Turner #3 (MT3 to the cool), I began experimenting with a couple of stories that had been buzzing around in my head for some time. One was a sort of present day techno-thriller with a spiritual twist, and the other was along the same genre lines, yet a completely different concept involving quantum physics. Some folks involved with the business side of my work considered these to be the best options for me that would “play to my fanbase,” as they fall into the same arena as a book like The Dig, my debut, and a surprise bestseller. While I still love those concepts and plan to write the books at some point, I felt forced into them in the same way I felt pushed into writing The Opal before I was ready to tackle it. These were business decisions, strategy. There was no creative drive behind them, characters in my head demanding to have their stories told. I didn’t think I’d be able to do them justice if I wrote them at that time. 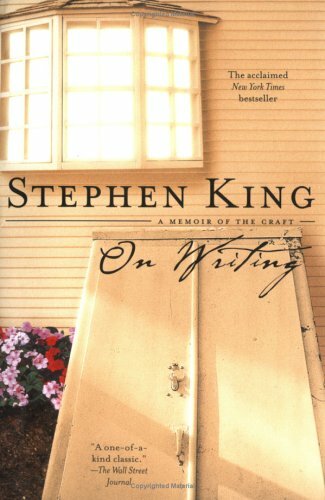 Part of my writing process is a technique I learned from my dear friend, Stephen King. By dear friend, I mean I read his book On Writing. When I complete the first draft of a book, I let it rest for at least six weeks before going back to edit—the longer the better. It’s important during this time to work on something else and get my mind off of the completed book. Editing something you just wrote rarely works as you are still personally attached to everything you remember writing. But after 2-3 months, many of the words don’t feel like the brilliant gems they were a few months back. And so the more-objective editing can begin (I say more-objective, because no one can objectively edit their own work). So one night in bed, while letting The Opal first draft “rest”—my brain busy as usual when I needed it to be settling down—I was running through my mental catalog of ideas and goals, one of which was to write a love story between two “broken” people. Nothing too depressing like Leaving Las Vegas, or tragic, but something firmly grounded in the real world, with characters resembling people who most everyone knows. An honest story that could be playing out thousands of times all over the world, right at this moment. But also not boring. If it’s too much like the real world, what’s the point? Take a picture. In the dark of our bedroom, my wife (I thought her asleep already) put a hand on my shoulder and said “What’s wrong? You have a busy energy.” I had been silent and wasn’t moving at all, but she has a keen sense for “energy.” After some prodding, I told her I needed to start writing something tomorrow, but didn’t want it to be the stories I was currently working on. I needed something different. A beloved public figure is murdered…in Ancient Greece. A husband is accused of murdering his wife. The wife is a member of an alien race that came to Earth 20 years ago. My mind went with this…change one thing…love story, change one thing. One of them is different…one of them is an impostor. One of them is a…demon. And there Frederick was born. He couldn’t be a scary sort of demon—that’s not my style. He just happens to be a demon. He doesn’t even know why, or where he came from, or any of that. He just appeared one day, fumbled around until he knew what he was doing, and went from there. Yeah, that’s the ticket! Some have astutely pointed out the connection between Matt Turner and Frederick. Matt, in many ways, “enters” other people, experiences life as another when touching an object on which they imprinted. Frederick takes this concept to its extreme end, not only coming along for the ride as an observer, but taking over entirely, and with devastating consequences. This parallel was not intentional, and I actually began to shy away from the story when I realized they were conceptually similar, fearing that I’d fall into some box emblazoned with “Writes about people being other people.” But I was passionate about this story, and soon accepted the reality that the similarities between the books and characters stopped at this minute detail, and that anyone actually reading both MT and Frederick would see they’re nothing alike, though hopefully both enjoyable in their own ways. This has fortunately been the case, with reviewers mentioning exactly that: “Not like his other books,” which is great for assuaging my self-doubt (but hopefully doesn’t turn off curious MT readers who are looking for more of what they found in The Dig). Regardless, the “Change One Thing” technique can do wonders, not just for the idea-creation stage, but for an in-progress or completed manuscript. The story may not have come out as thrilling as one had imagined and needs some sort of boost, and the change doesn’t have to be extreme or Sci-Fi or paranormal. How about changing the gender of the protagonist or antagonist? Maybe the time period or setting. What would happen if the present day story is shifted to 200 years ago? There is an entire genre devoted to this technique: Alternative History. Flip one historical event (oddly, ‘the Nazis won’ seems to be a constant favorite) and, depending on how far back it occurred, the ripple effect spreads far and wide. What if the impact event that led to the dinosaur extinction didn’t happen (that’s a wide circle). What if Kennedy wasn’t assassinated? What if 9/11 was thwarted before it happened? Smaller ripples, but definitely shifting the course of things. Whatever the One Thing is, it should pervade the entire story, not just some revelation at the end (It was all a dream! puke), and works best with a main character first (the most important part of the story), setting/time second, and third you have supporting characters, a unique technology, an impending event (storm, convention, unwanted visitor, etc.) or the aforementioned historical event. So I have to give credit to my wife for depositing Frederick into my head, and I did. 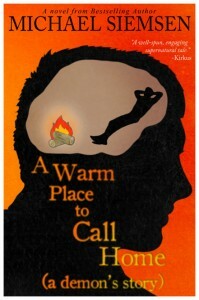 A Warm Place to Call Home (a demon’s story) was dedicated to her. And now Frederick is in his readers’ heads. I enjoy every review, email, and comment proclaiming “I can’t get him out of my head!” because neither can I. We’re stuck in this together. When I went to a meet and greet with Jeffery Deaver he talked about this. He said that when he wrote The October List, he wrote a crime novel per usual but wrote it backwards. It was not very well received and has gotten mixed reviews but it made him think outside the box. What can I do/change to enhance this? It’s a great concept. Great idea. Simple yet effective. I kind of look at this from a different perspective… as the reader. Often when am reading a story my mind starts to wander and I sometimes put my own ‘what if’ scenario to the story line. I guess I am mentally ‘reading ahead’, ‘trying to guess the next situation’ or ‘coming up with my own ideas where the story would go from that point’. I’m sure I am not the only one but it can be a bit distracting. Thankfully it doesn’t happen all the time.